It didn’t develop in one shot and evolved over time by merging many different social groups. The caste system is not a well-defined entity, but an amorphous grouping of people with different origins that all got mixed over time. Humans, like many other mammals, live in various social groups. We often build a web of relationship known as the Kinship. Initially we were all in small bands or tribes & we were not in close contact with other groups. As we kept coming together to form more complex societies, some wanted to organize & formalize the group. Band – Bands are the smallest units. It is an informal group of a few dozen people who work together. It might not have a leader. Clan – This is a slightly more matured group with a belief in a common origin & descent. In India, this roughly translates to Gotra. For instance, my family believes that we are descent of the 3 saints of Viswamitra-Ahamarshana-Koushika. Such clans were in most ancient human societies. The clans formed a strong kinship & bonding among themselves. Also, most clans thought of others in the clan as brothers/sisters & thus would not marry within the clan. The Khaps in Haryana take to this the extreme & can even give death sentences to those who marry within the clan. Tribe – Mulitiple clans can come together to form a tribe & tribes can often be quite well structured. They can have their own leaders & build common cultural practices. In many ancient societies, people married within the same tribe. In short, you marry out of a clan and within a tribe. In India, this roughly corresponds to Jati. Nations – Tribes formed even bigger groups named the nation. For instance, in the Battle of the Ten Kings the tribal groups formed the nation of Bhāratas that won over the confederation of 10 tribes in north India. Thus, we call our nation Bharat. Division of labour – As we started forming civilizations, we also found it quite useful to divide work. Thus, some would produce milk, some would farm, others would weave etc. Like in other civilizations, India had this division of labor too. These divisions then got superimposed over the much older clan & tribal divisions. Some of the tribes/jatis are as big as most nations. For instance, the peasant caste of Jats numbers about 83 million people – a little bigger than Germany & Mongolia combined. Other castes like Yadavs, Minas and Rajputs also have millions of people have built a formidable political force. Almost all societies eventually turned into building hierarchies in a pyramid system. The tribes had no ranking system before this & somehow people felt that there needs to be a rank. Such rankings are somewhat present in our mind always. For instance, if you ask a kid to rank the professions of plumber, soldier, doctor and shopkeeper in terms of attractiveness/usefulness, he/she might instinctively say doctor > soldier > shopkeeper > plumber. We have some universal notions of the relative worth of different professions & this bias reflected in the social hierarchy. 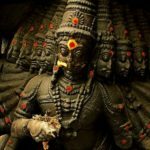 Around 3500 years ago, the various tribes that were creating the Rig Veda was grappling with a way to organize all the different systems – since there were 100s of tribal groups & occupation groups. Rig Veda did it this way. Such a pyramid organization was not unique to the Rig Vedis. 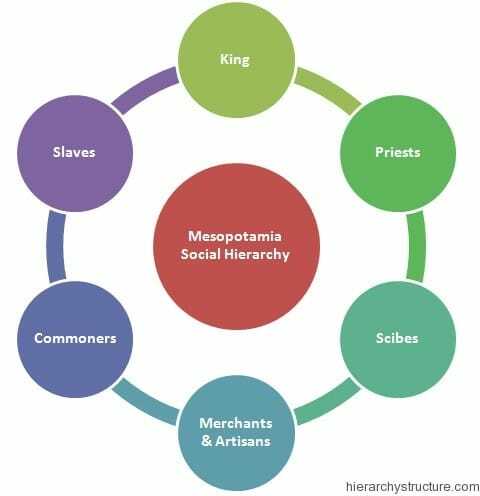 Plenty of societies around the world had stratified their society. Europe had Estates of the realm. Egypt had 8 levels with more fine grained. While north India had a more formalized social stratification systems, south India didn’t get as formalized. It turned out to be quite binary – brahmins and non-brahmins. Only recently many jatis like Reddys, Thevars and Lingayats started grappling with where they fit into the varna system. In short, there was no single system and people often made up the rules on the go. Many also used obscure texts like a 2000 year old Manu Smriti to define their position in the outdated hierarchy. 2. Jati – the social segregation of an individual based on profession. Jati is a derivative of Varna but the reverse is not true. Varna is supreme, Jati is just an indicator of the profession of a family branch, it has nothing to do with Karma. Varna is Karma, Jati is just a social classification which evolved later. Varna is more of a state of mind. A person of Shudra Varna always follows whatever is given. He never questions, he never argues, he never thinks on his own, he just “obeys” the master (Karta). He doesn’t see the big picture and is always keen on following. Hanuman is of Shudra varna. He never questions Ram. He just does whatever is said. That is it. He can kill the whole Lanka army alone but he never does it. When his mother asked “Why?” he said – Because nobody told me to do so. A person of Vaishya varna is a conditional follower which means, he will follow his master only on a given condition. He will not take initiative, but when ordered to do something, he will evaluate the orders and carry out actions only if it fits the condition. Sugriva is of Vaishya varna. He agrees to help Ram only if Ram helps him first. 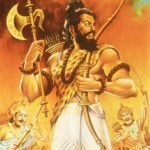 If Ram did not kill Vali, Sugriva would’t have given his army to Ram. Kshatriya Varna is someone who leads but again has conditions attached to why he is leading. He leads just for the sake of leading, not upholding the cause of leadership. He carries out action because he is more into the “Power” and “Glory” and not for the action alone. Ravana and Duryodhana, both belong to Kshatriya varna. They are conditional leaders. Ravana leads just for the sake of preserving his ego and avenging the insult of Surpnakha. Duryodhana leads just for the sake of his personal enmity and abandons the greater cause of the kingdom. They are both “Conditional leaders”. Brahmana varna is someone who lives for the greater objective and his leadership or action is focussed on “Dharma” and not personal goals. Rama and Krishna are both Unconditional leaders, who go above and beyond the call of duty to accomplish Dharma and attain the bigger goal. Rama abandons his Kingdom for his father, abandons his wife for the kingdom. Krishna is sharp focussed on establishing his goal and introduces “Adharmik principles” to restore Dharma. This is unconditional leadership, do whatever it takes to meet the end result and establish Dharma. When a man grows up, he is mostly of Shudra varna, unconditionally following whatever is told by parents, teachers and others. Then he graduates to Vaishya varna wherein, he follows only when a condition is met (I want to do enginerring only if …..). Then he graduates to Khastriya Varna wherein he takes up Karma just for the sake of Karma alone, without knowing what he is doing (a job or some trade to make ends meet). Finally he is able to realize his true worth and do things he really wants to do in life (Brahmana varna). Is Varna related to Birth? A person of lowerly caste may very well be of “Brahmana” varna while a person of “higher” caste may be of Shudra varna. Example – Consider a person from shudra Jati, who cleans people’s toilets. He is extremely devoted to his duty and performs every task with utmost perfection. He is an unconditional leader and his mission in life is to clean every single toilet in his area. So although he is “Shudra” by Jati, he is of “Brahmana” varna. 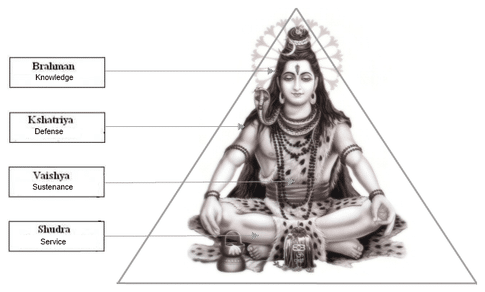 Example – Consider a person who is from “Brahmana” jati. He is a professor in a reputed institute but never performs his duty well. He just comes, gives lectures and notes, takes exams and passes every student. He is not concerned about the knowledge his students are getting, he is just following some “System”. So despite being from the “Brahmana” jati, he is of “Shudra varna” – unconditional follower. He will simply do whatever is told to him, without caring about the consequences. Jati was introduced so that a person of specific Varna gets the profession he is most suited for. It is not the other way around. A person of “Brahmana” varna was given a “Jati” of “Brahmana” so that society benefits from his behavior. An unconditional leader is best suited in institutes, so that people can learn from someone who knows the bigger objective and is determined to achieve it. A person of “Vaishya” varna was given a “Jati” of “Vaishya” so that societry benefits from the behavior. A conditional follower is better suited for trade and commerce and can help build the economy faster and provide goods and services, since he is more keen on “Following” the system. A person of “Shudra” varna was given a “Jati” of “Shudra” so that society benefits from the behavior. An unconditional follower is better suited in the service of others and hence the person of “Shudra” varna is better utilized as clerks, officers and other day to day “Jobs”. Alas, for the human race tweaked this concept and started abusing it. They abused it to that extent that now it is the exact opposite. A person with great thought and vision but born into a lower caste family is mostly neglected while a person born into a “Brahmin” family but no character or vision is given respect. This is what Kaliyug has done to the vedic system of segregating talent in the society.